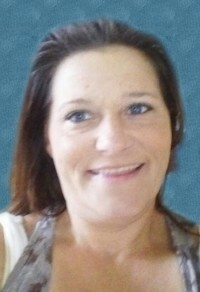 Kelly Rose Helmeci, 47, of New Bethlehem, PA, passed away Tuesday, January 29, 2019, at her home. She was born December 8, 1971 in Clarion, PA, the daughter of Clayton "Bud" Edinger and Donna (Risinger) Edinger Hooks. Kelly was a graduate of Union High School and then completed Practical Nursing School at Clarion County Career Center. She loved to have a good time but her greatest joy was spending time with her grandchildren. Kelly leaves behind to cherish her memory her mother, Donna Hooks of Sligo; husband, Dan Helmeci; four sons, Cody Altman of Clarion, Toby Weckerly of Houston, PA, Michael Currie and fianc�, Bethany, and Zach Currie and fianc�, Brooke, all of West Deer; six grandchildren, Trenton Altman, Connor Currie, Aubrianna Currie, Joslynn Currie, Rylen Currie, and Camdyen Currie ; a brother, Buddy Edinger and wife, Stacy, of Sligo; two sisters, Brenda Switzer of Sligo and Tina Warden of Rimersburg; many nieces and nephews; mother-in-law, Dianna Taylor of Gibsonia; and best friend, Janet Dougherty. She was preceded in death by her father, Clayton "Bud" Edinger. Relatives and friends will be received from 2-4 p.m. on Saturday, February 2, 2019, at Bauer-Hillis Funeral Home and Cremation Services, 758 Main Street, Rimersburg. The funeral service will held at 4 p.m. at the funeral home with the Rev. Larry Piper officiating. To send a condolence to Kelly's family, visit www.bauerhillisfuneral.com.